CHICAGO (Feb. 2, 2017)—Columbia College Chicago has appointed Ames Hawkins, Ph.D., as Associate Provost for Faculty Research and Development, a newly created position at the institution which will establish comprehensive programs and initiatives dedicated to faculty development, support, and scholarly and creativ­­e research on issues of faculty professional development. Hawkins assumed her new role on Jan. 3, 2017. Hawkins will report to Suzanne Blum-Malley, senior associate provost, and among her many responsibilities, will create, implement and manage a suite of faculty programming and support services, including assistance for faculty in the three areas in which evaluation occurs—creative and scholarly endeavor, teaching, and service. Hawkins will also oversee relevant and convenient programming for on-and off-semester faculty development; one-on-one support; peer-to-peer mentoring; direct instruction workshops; faculty showcases and an open lab for technology support. She will work with departments which request assistance in areas such as program assessment, course development and redesign. Additionally, she will create programming to onboard and support new faculty. Hawkins will collaborate with a range of units, including Academic Affairs, Digital Learning, Global Education, Human Resources, the college’s Library, Student Affairs and others to identify and celebrate faculty work and talent, and to better promote the college’s academic quality and offerings. 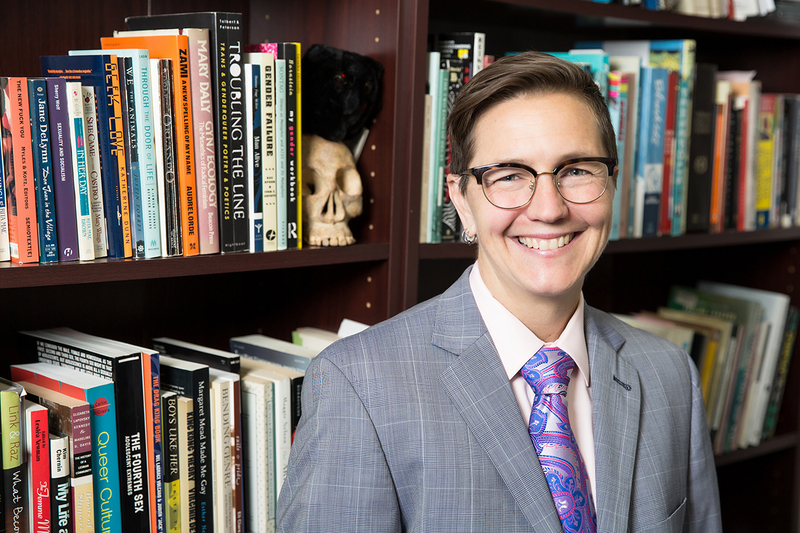 Most recently, Hawkins served as the college’s faculty administrative fellow, in which she conducted research on national best practices in faculty development and surveyed the needs of faculty at Columbia. Feedback form the survey will provide the guidelines through which Hawkins will develop faculty-based programming. Hawkins has taught for more than 25 years, the last 16 of which have been at Columbia. She has published widely in both scholarly and creative journals, and has worked on a number of different literary and artistic projects, including a transgenre book-length writing project and art installation, and a scholarly podcast that explores alt-alphabetic texts and creative-critical scholarship. Hawkins earned a Ph.D. in English/Composition and Rhetoric, with a cognate in Anthropology from Wayne State University in Michigan, an M.A. in Popular Culture from Bowling Green State University in Ohio and a B.A. Honors in American Culture from the University of Michigan, Ann Arbor. Columbia College Chicago is a private, nonprofit college offering a distinctive curriculum that blends creative and media arts, liberal arts and business for more than 8,000 students in more than 100 undergraduate and graduate degree programs. Dedicated to academic excellence and long-term career success, Columbia College Chicago creates a dynamic, challenging and collaborative space for students who experience the world through a creative lens. For more information, visit www.colum.edu.